No static maps are available at this time given the current world's (Oceania) lack of exploration laziness. There is however a 'live' map of all explored and crafted topography available using Google Maps. The Following is a map Put out by the Waldish Cartographic Service detailing traverable and partially traversable water routes across the Globe. The Alpha nations keep a Detailed record of All Civilized lands of the Map. Any regions not found on this map are considered to be Regions of the savage and hold no protection by the International Community. Proceed here and mind the gap. 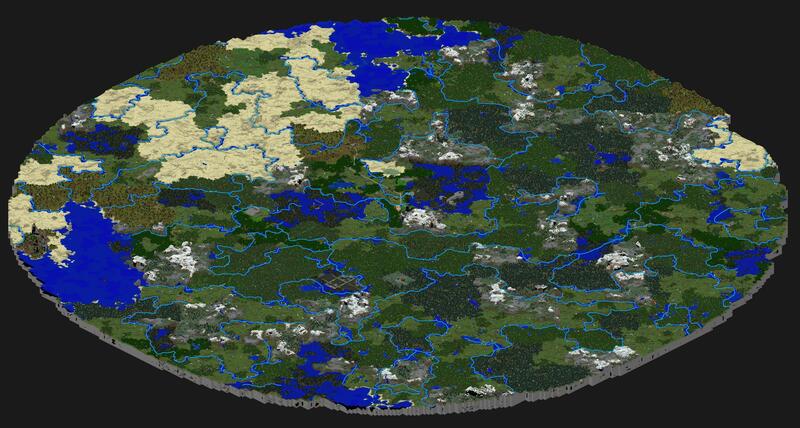 Outdated: this map spans an ~1500-block circle area around Old Spawn when there was barely anything built. Many of these rivers have since been altered.